We hope that this section of the website becomes one of your favorites, and that you’ll check back often. As frequently as we are able, we take a question about the Bible or a biblical topic, and answer it in the only way that we can–from the Bible. There are far too many people who are willing to give what they think the answer is, and far too few who are willing to go to the Bible for God’s answer. 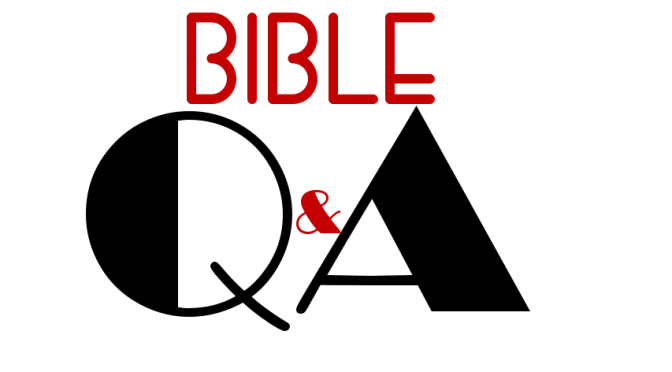 These Bible Q&A segments will be posted on the front page, but will all be archived here for easy access. To submit a question for consideration, drop us a note here. What does “The Lord of Sabaoth” mean? What does the Bible mean when it says “God is very pitiful”? Are there really “Lost books of the Bible”? How old should an elder be? Are babies born in sin? Do we have all the apostles’ letters? Did the Thief on the Cross Live Under Two Covenants? The Thief on the Cross–Does it Even Matter? Did the Apostles Expect Jesus to Return During Their Lifetime? Why Are Some Congregations Doing Away with Deacons? Why Don’t Some People Believe in the 1,000-Year Reign of Christ on Earth? Why did God Create Us if He Knew We were Going to Sin? What About the Holman Christian Standard Bible? Is Jesus the Only Speaking God? How Did Jude get Enoch’s Prophecy? Will the Wicked be Resurrected Too? Enjoying you web page. Glad I found it. I love to read things from the past myself. Do you know of a book by Floyd Decker concerning 52 differences between the Church of Christ and the Christian church? Would like to find a copy.